<b>BOOKINGS</b> alex@bassic.co <b>BIOGRAPHY</b> After 17 years working with a huge spectrum of DnB greats, London based Irishman Cian McCann has long since established his place in the scene. From his early days in Dublin with the Bassbin label to working with the likes of Calibre,4 Hero, Klute, Alix Perez, Rockwell and Noisia, he has never stood still. 2008's Cheap Shots LP for Total Science's CIA Records was a high point, with lead track Walk Away bringing vocalist Steo to the worlds attention. Also a noted remixer, he has retouched artists as diverse as Dillinja, Slam, Rolo from Faithless, Sabre, Lemon D and Lenny Fontana. 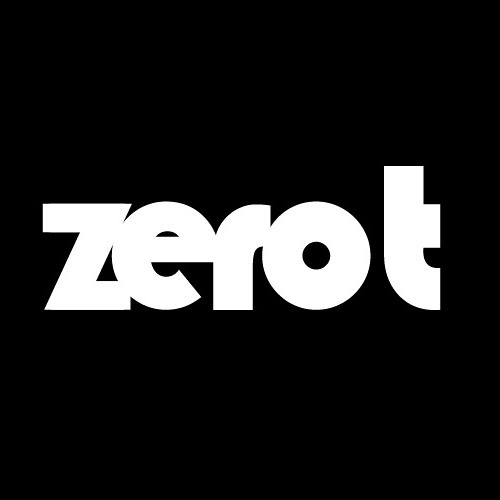 Zero T's discography reflects the diversity that his DJ sets have always shown, ranging from full vocal smoothness to more rolling, dance floor styles. You are as likely to find his music on labels like Subtitles and Shogun as on Soul:r or Signature. 2010 saw two milestones reached; the Launch of Footprints, Zero T's own label, and compiling and mixing Fabric Live052 for the esteemed London venue. After a short period away from the scene, 2014 saw the return of Zero T as a producer/remixer and DJ with a Metalheadz debut and a spate of collaborations with the legendary Fierce on the highly regarded Quarantine. 2015 saw the long awaited sophomore album from Zero T, this time coming on Dispatch Recordings, entitled "Golden Section”, along with a spate of appearances on Shogun Audio, Soul:r, Fokuz and also provided a track for Riya’s Sublimation LP on Spearhead. 2016 saw more releases on Quarantine, Metalheadz, Integral, Spearhead and Horizons, along with plenty of remixes for the likes of Metalheadz, Noisia, Gerra + Stone and many more. The last couple of years have also seen Zero T touring frequently in the UK, Europe, USA, Australia, New Zealand and Japan. 2017 will see the release of the third Zero T album ‘Little Pieces’ on Dispatch Recordings, featuring guest appearances from Steo, DRS, Stamina, Villem and Beta 2. He will also be releasing an EP on Lenzman’s new label The North Quarter and a batch of new remixes for Metalheadz, Dispatch, Soul Trader and several other labels. 2017 looks set to be Zero T’s most prolific to date!